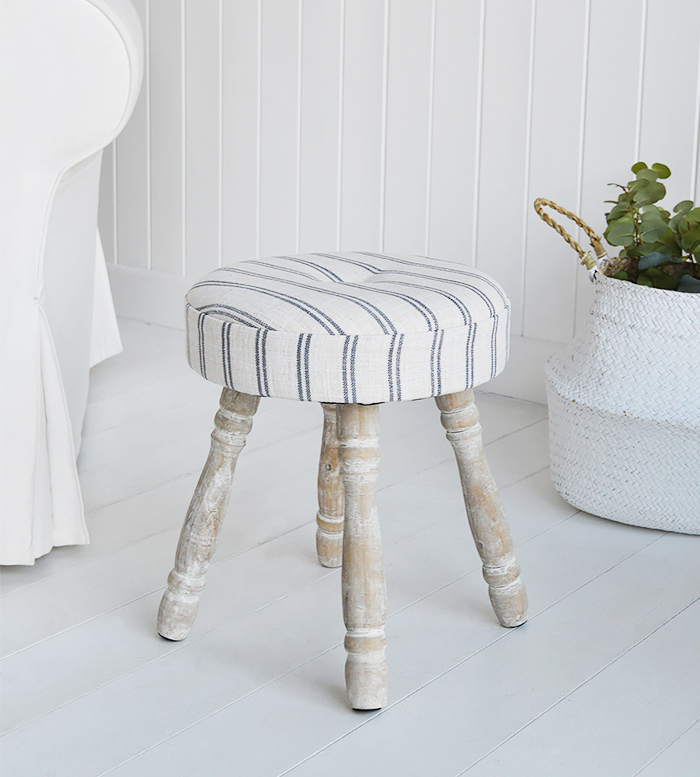 The Long Island small stool, padded and upholstered in ticking linen effect fabric with white washed turned legs. 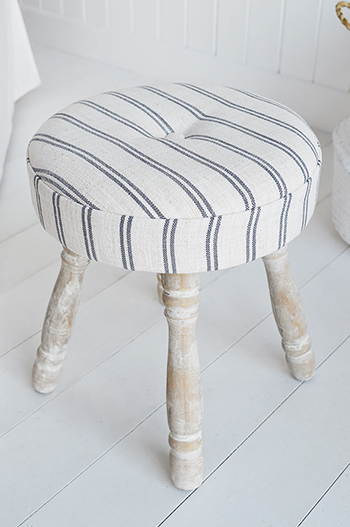 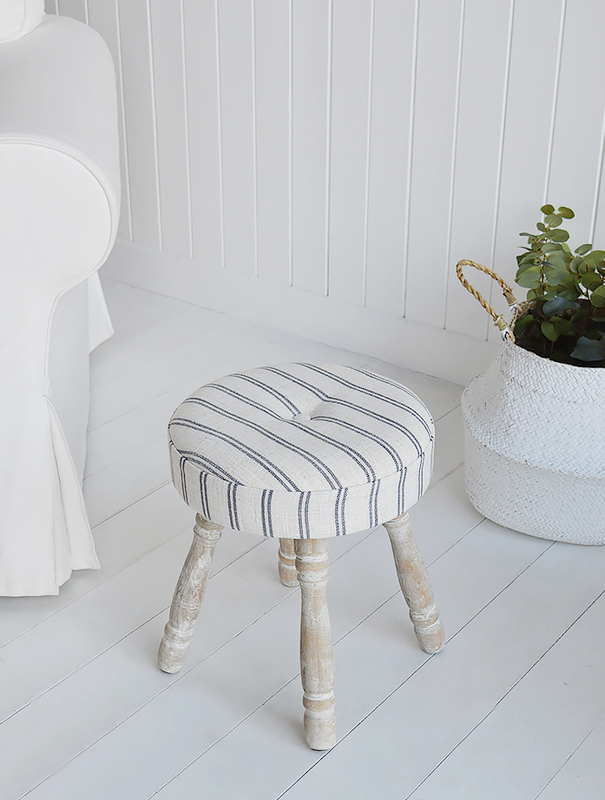 The traditional and timeless ticking stripe of the stool add texture and create the laid back feeling of both country and coastal homes, while the white washed finish of the legs give it the distressed and worn look synonymous in homes in the country and by the sea. Perfect in a small living room as a footstool or little extra seat, the pastel colours will reflect the light while not taking up too much space.